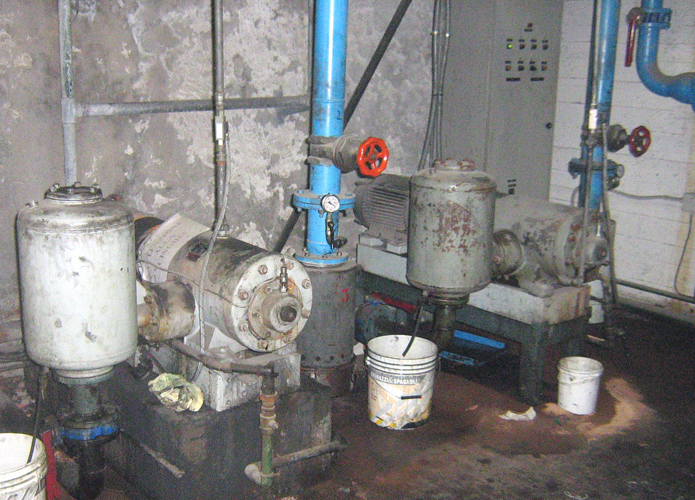 The water cooled V45 pumps installed at Seves near Florence in Italy have been functioning since 1963. Used for various production steps, the vacuum is required 24/7 with 100 mbar(a) pressure. In 2008 an air cooled pump mod. UV8 of the new generation was installed. The step from water to air cooling was made also earlier, when a UV6 vacuum pump was installed at Vitrablok, a factory of the Seves group in CZ. 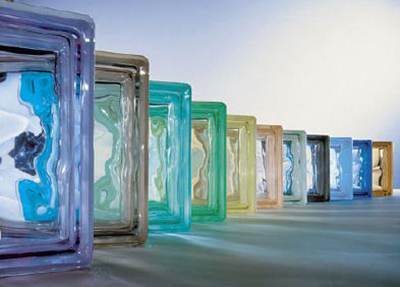 Our customer is specialized in the production of insulation glass for the transfer and distribution of electrical power as well as in the production of glass bricks. 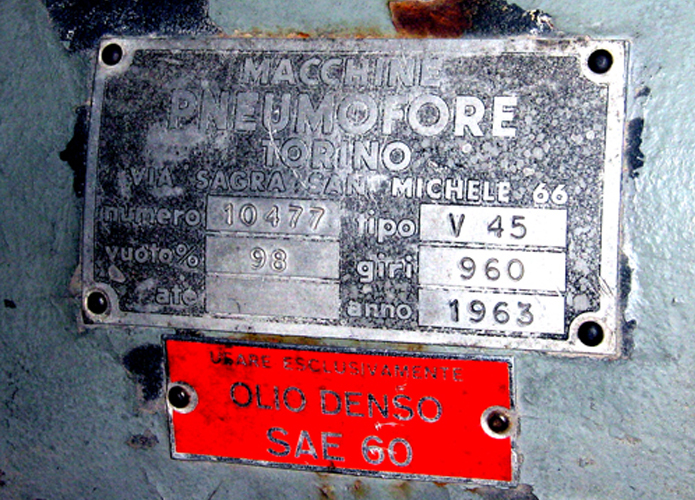 In 1963 Pneumofore delivered two pumps mod. V45, with 500 m3/h each, water cooled, see pictures. These units have been in operation every day since then, and their performance is the same after 45 years. 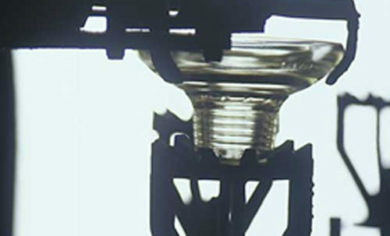 But the Research and Development of Pneumofore produced new solutions with reduced power consumption, with closed lubrication circuit and by replacing the water cooling with air cooling. 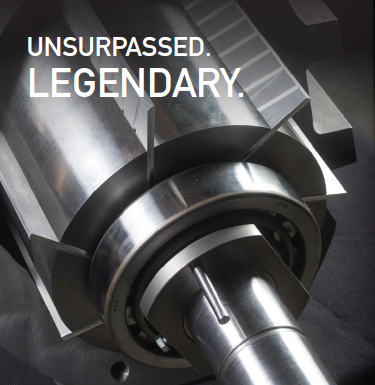 The reliability of the 2 x V45 pumps results from the design criteria of Pneumofore in 1950, same as today in 2009. Low rotation speed, direct coupling, sturdy and accessible construction for long term, round the clock industrial applications, still distinguish our products. 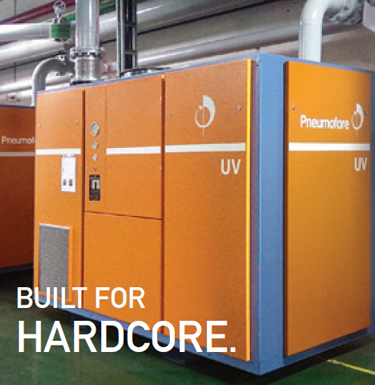 Many competitors appeared in the last decades, some with an eye on our products, but none guarantees the low operation costs, the durability and lowest Life Cycle Cost, as Pneumofore does. Machines with more than 200.000 hours of operation are possible if the maintenance is done regularly: the Seves technicians did service the V45 pumps themselves with care and competence over 40 + years. 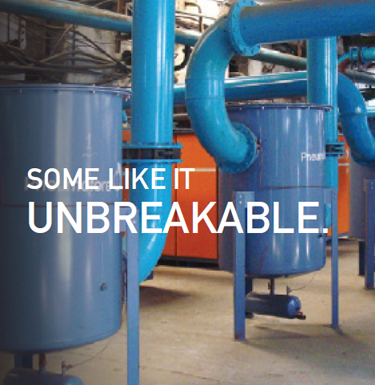 Within the same group are other production sites using vacuum, like Vitrablok in the Czech Republic, which has one UV6 since the year 2000, used only in the final Pick & Place process at the cold end. 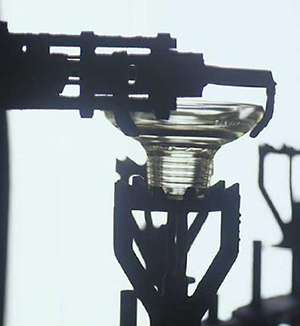 Our customer is now active in new industrial segments and produces also glass bricks and special glasses for lightening as well as perfume bottles with intricate shapes. Some factories only use vacuum in the final Pick & Place step of packaging, other productions use vacuum as energy to support the manufacturing. Pneumofore is pleased to supply the Seves group, which includes also prestigious brands like Vetroarredo, because applications are studied to find the most appropriate solution for long term trouble free operation. With new production sites in Asia and expertise on top world level, Seves represents a relevant reference, a collaboration with reciprocal satisfaction, consolidated over generations.